GEORGETOWN – Prime Minister Hon. Moses V. Nagamootoo held discussions with a high-level, five-member team from the World Bank, which is visiting Guyana at the invitation of Finance Minister Winston Jordan. The hour-long meeting, at which Finance Minister Winston Jordan was present, took place on Friday, November 9 at the Prime Minister’s Office. Prime Minister and Mr. Jorge Familiar. Prime Minister and Minister of Finance Winston Jordan with Mrs. Tahseen Sayed Mr. Jorge Familiar Mrs. Galina Sotirova Mrs Abha Prasad, Mr. Federico Baechili. Led by Mexican-born Mr. Jorge Familiar, Regional Vice-President for Latin America and the Caribbean region, the World Bank assured support to Guyana in capacity building as the country prepares for first oil. The visit is part of an on-going engagement with Guyana, simultaneously in several sectors. Others on the team include regional director, Mrs. Tahseen Sayed; country manager for Guyana and Jamaica, Mrs. Galina Sotirova; regional programme leader, Mrs Abha Prasad; and operations officer, Mr. Federico Baechili. Mr. 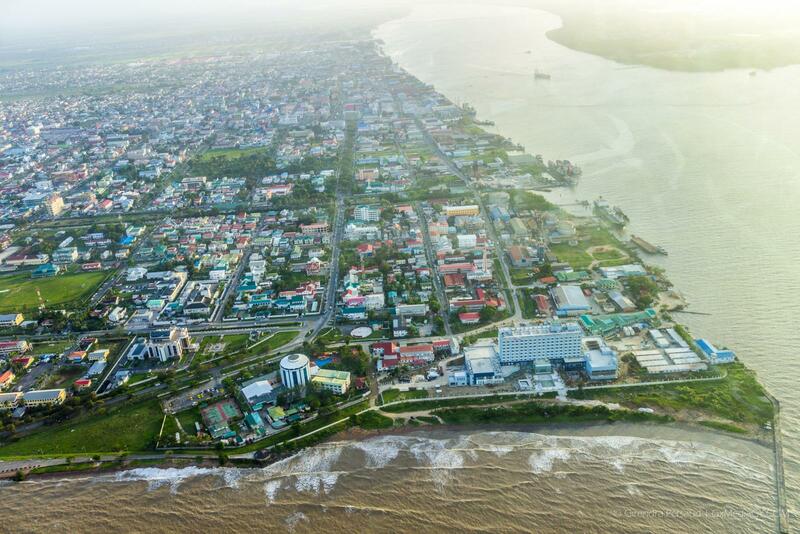 Familiar shared the recent dismal experiences of a few regional states that depended on oil wealth, and stressed that Guyana would need solid governance systems to avoid pitfalls, and to protect and beneficially spend anticipated revenues. In welcoming the team to Guyana, Prime Minister Nagamootoo emphasised the efforts of the Coalition Government in promoting open, democratic, multi-party governance in Guyana, and the mechanisms in place to combat sleaze by public officials and accountability for public property. He explained the many innovations in the democratic architecture of Guyana over the past three years, and invited the World Bank to partner with the Government to strengthen these institutions and to build human capital to manage the new economy. 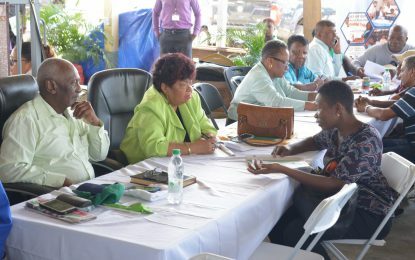 The Guyanese Prime Minister, who was performing the functions of the President, referred to the Green Paper for a Natural Resources Fund, which was tabled in the National Assembly; and the crafting of a Green State Development Strategy, to provide a generational vision for the future oil-producing Guyana. He noted that the Fund policy is underlined by stringent fiscal rules to guide the use of petroleum resources. Mrs. Tahseen Sayed, remarked that towards this end, the World Bank has approved a US$35 million development policy credit to better prepare the country to benefit from its oil and gas reserves, and to support Guyana’s effort to strengthen financial sector development and fiscal management. The World Bank team is expected to meet other key government officials and other stakeholders.